The Singapore Anti-Death Penalty Campaign, commemorated World Day Against the Death Penalty by organising a forum on 10 October 2009, and calling on the Singapore government to join 139 states throughout the world that have ceased executions in law or practice. The campaigners also used the event to plead for clemency for Yong Vui Kong, a 21-year-old Malaysian who has been sentenced to death for drug trafficking. He was 19 when he was caught for the offence in June 2007. Mr Alfian Sa’at moderated the forum and Mr Seelan Palay, an artist and activist, kick-started the forum by presenting case studies of people who have been executed in Singapore. He emphasised the point that Singapore is estimated to have one of the highest per capita execution rates in the world. Mr M Ravi spoke next and said that a mandatory death sentence is a cruel and inhumane punishment because even if the defendant’s lawyer is able to adduce fresh evidence or canvass a new argument which has merits, the court system in Singapore, does not have the power to re-open a case where an appeal had already been heard and dismissed by the Court of Appeal. Mr Ravi mentioned that in one particular case, when he asked the Chief Justice if the public prosecutor was “still maintaining that an innocent man be hanged because of procedure”, the Chief Justice answered, “Yes, the answer is yes”. He said that this clearly shows that there is a serious defect in our legal system. Ms Agnes Chia, a social worker, said that the core values of social work are the dignity and worth of individuals and unconditional positive regard for people, regardless of life situations. Social work believes that people have “an innate ability to change”, because an individual's behaviour affects and is affected by his or her social environment. Many in the forum applauded when Ms Chia said she hopes that more social workers in Singapore will speak up and advocate the abolishment of death penalty in Singapore. Ms Braema Mathi a human rights activist and the president of MARUAH (Singapore Working Group for an ASEAN Human Rights Mechanism), emphasised the fact that these individuals have committed a “blunder” and that this should not be ignored. However, they should be given the opportunity to be rehabilitated; and that the mandatory death penalty makes this impossible. Activist and social commentator, Mr Alex Au, summed up the forum and said that abolishment of the death penalty is a battle between ideas and values. That “the other side” believes in the idea that death is an appropriate penalty for those who commit certain crimes, irrespective of what scientific statistics might say, and over the value that every life is dignified. He encouraged everyone present to “talk to people about [the] death penalty”, to “go out and tell stories” and to “convince the other side”. The forum was then opened to the floor for comments and questions. 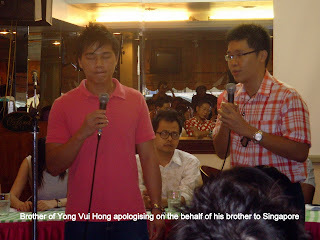 The brother of Yong Vui Kong took the opportunity to apologise to the people of Singapore for the crime his brother has committed. He revealed that his mother, who is suffering from severe depression, is kept from receiving the news that his brother faces the death penalty. He also pleaded with the President of Singapore to grant clemency to his brother. After some very touching comments and questions from the floor, the forum ended with a call for those present to sign the petition urging the President of Singapore to grant clemency to Yong Vui Kong. My heart goes out to the family of Yong Vui Kong and his family. He was in the prime of his youth (19), when he was caught for the offence of drug-trafficking. An age when you think that you are invincible, an age where you are most subjected to peer-pressure, and an age where many costly mistakes are made. And to deprive a mother of the knowledge that her son is facing impending death, to me is crueller than the noose of the hangman. But in the case of Vui Kong’s mother, it is probably in her best interest right now for the news to be kept from her. I support the abolishment of the mandatory death penalty and support the call for the Courts in Singapore to be granted revisionary powers over all cases which carry the death penalty. I agree with Mr Au that the people, who believe in this cause, should talk to people about the death penalty and “go out and tell a story”; because stories have the power to change ideas. But unfortunately, the people on “the other side” are the majority who support the death penalty for various reasons, whether it be for deterrence, retribution, or for law and order purposes. It will be very difficult for elected legislators to push for the abolishment of the mandatory death sentence even if they personally believe in it, as they are but the representatives of the majority who support capital punishment. So, tell stories we must, especially to our children, as they are tomorrow's citizens, politicians, defendants, judges and lawyers and the world’s future is in their hands. It is also important who tells the story. The story must be told not just by the elites and the activists, but it must be told by the converts and the common man. In telling the story, the story-teller must not trivialise the offense committed as a mistake or ‘blunder’, for the fact is, it is something graver than a mere blunder – it is a crime. The story-teller must be able to answer queries and criticisms like who determines if the offender has an “innate ability to change”? In the meantime, as the rest of Singapore winds down to enjoy the long weekend, the person on the death-row goes into high anxiety as he does not know if it will be his last weekend; for in Singapore, the hangings take place on the Friday, and he is given four days notice of his execution on the Monday. And what is worse is he will never touch his loved even one last time, before he is executed by the state on behalf of the citizens – he is killed in your name. Volunteers from Singapore Anti-Death Penalty Campaign will be on standby with the petition at Hanis Cafe at the Central Library (the one closest to Bugis MRT) from 2pm to 6pm on this Saturday, October 17, 2009. PM Lee pointed to the lack of minority candidates in the 2011 Presidential Election to justify the Reserved Presidential Election. 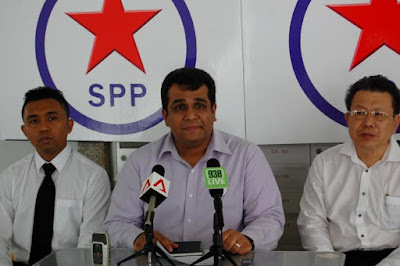 "Where were the Farid Khans and the Salleh Maricans? Why didn't they come?... Because they knew that in an open election - all things being equal - a non-Chinese candidate would have no chance." Having contested an election as a minority candidate, I am disturbed enough by his comments to write this note. Let me explain why. I declined invitations to contest the 2011 General Election. This was because I was at a different stage of my life. My children were much younger, I had just come back from the USA a few years before and had to re-establish my career here. I did not know if I had the temperament for public life. These were just some of the reasons why I chose to decline those invitations. 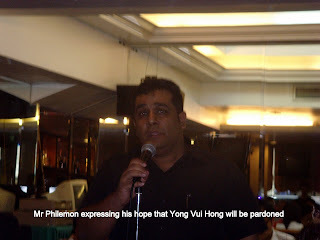 His views are of course not new and he had articulated them in another Speech in the year 2007, expressing why he believed that Singapore does not have enough talent for two A-Teams (link: http://bit.ly/1NFyA9s). I am not sure if this view is healthy for Singapore. Why I say that? Let me quote a few persons and articles before I make my point. An academic speaking at a forum focused on Singapore's middle-class in November last year said, "when we think about the middle class, we think of security, comfort and social mobility. But all these are sort of in decline". In my walkabouts in your constituency, you had raised some questions with my team and me. I address a couple of more important ones here. Why were you not here earlier? 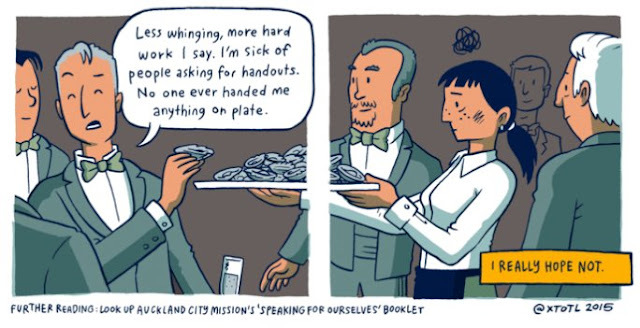 I have worked with the less-privileged in the community for a fairly long time. The homeless families I work with come from all constituencies. When I blog about various issues, it concerns a good number of Singaporeans from various constituencies. For example, you were just as affected by the recent massive MRT breakdown as someone living in Aljunied. So, when I was making myself counted on such issues, I was doing so also on your behalf.